We know you lead a hectic and busy lifestyle and don’t always have time to tackle things like laundry or swinging by the dry cleaners to pick up your expensive garments. Don’t worry—at Bartoli Cleaners, we understand! 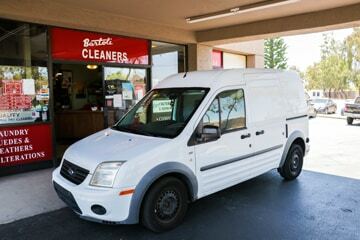 We’re pleased to offer free dry cleaning and laundry pickup and delivery service in Mesa, Arizona. Sign-up today! We’ll make sure your dry cleaning is handled with care and your laundry is washed, dried and folded perfectly so you can focus on other, more important things in life. We make dry cleaning pick up in Mesa, AZ as easy as possible for our customers. Not only is it free, it’s also timely! SIGN UP FOR COMPLIMENTARY PICK-UP AND DELIVERY SERVICE TODAY!